Efforts to reinstate state support to attract new teachers to the profession have stalled in the state Legislature, despite a shrinking supply of teachers that is spreading beyond traditionally high-needs areas such as special education, math and science, and bilingual education. To help entice teachers to the profession, Sen. Fran Pavley, D-Agoura Hills (in Los Angeles County), introduced Senate Bill 62 earlier this year, which would have restored funding for a loan program that forgives $11,000 or more in college loans if a new teacher agrees to teach for four years in hard-to-staff schools, such those serving a high proportion of low-income youth, those in rural areas, or those with high numbers of teachers lacking full credentials. Teachers in shortage areas such as math and science would also be eligible. Pavley’s bill also called for restoring the Governor’s Teaching Fellowships, a short-lived program phased out more than a decade ago that provided grants of up to $20,000 for a small number of aspiring teachers who agreed to teach for four years in schools serving struggling students. However, this provision was stripped from the bill during the legislative process. The bill got the thumbs up from the state Senate, and made it partway through the Assembly. But the conference committee that approved the 2015-16 state budget in June never authorized any funds for the loan forgiveness program. Rather than let the bill die, Pavley has decided to hold the bill until next year — in legislative parlance, converting it into a two-year bill — until a clear funding source for the support programs can be identified. So Pavley’s bill has yet to make it out of the Legislature, despite being underwritten by almost every major education organization in the state. Writing in support of the legislation, Stanford University professor Linda Darling-Hammond, appointed by Gov. Brown as chair of the California Commission on Teacher Credentialing, noted that countries where students are outperforming U.S. students on international tests, such as Finland, Singapore and Korea, “are underwriting all the costs of a teacher’s preparation in high quality programs.” “California has no such incentives for entering teaching,” she said. “Teacher recruitment is a critical issue as entrants into the the teacher pipeline have dropped significantly in the last ten years,” State Superintendent of Public Instruction Tom Torlakson, a strong supporter of the bill, wrote to lawmakers last June urging them to approve it. To ensure a steady stream of talent into high-need subjects and schools, California should underwrite the training costs of high-ability candidates who will become well-prepared to teach or lead in high-need fields and locations for a minimum of four years — the point at which individuals typically have become skilled and commit to the profession, as repayment for the state investment in their preparation. But like many of the report’s recommendations, it has gone unheeded. The latest figures from the California Commission on Teacher Credentialing indicate a steady but dramatic decline in enrollments in teacher preparation programs. Enrollment in these programs has dropped from nearly 78,000 a dozen years ago to 19,933 in 2012-13 — a decline of 74 percent. In a parallel development, the number of teaching credentials being issued to California-trained teachers has declined from 16,401 in 2009-10 to 11,497 just four years later. Supporters are taking heart that Pavley’s bill made significantly more progress in the Legislature than other recent attempts. For each of the past two years, Pavley introduced similar legislation that did not even make it out of the state Senate. This year, her bill was approved in the Senate by a unanimous 40-0 vote. It also passed by a 12-0 vote in the Assembly Higher Education Committee, a key education committee. But as has occurred with similar bills in the past, this one stalled when it came to the issue of how to fund it. On another less encouraging note, key provisions of the bill were watered down during the legislative process, including removing the Governor’s Teaching Fellowships. Pavley has introduced similar bills in previous years, which also did not get legislative approval. Two years ago, legislation she authored would have provided support for 7,200 participants in the fellowships, while a bill the introduced last year would have targeted 6,500 teachers. The latest version of the bill — and the one that will be taken up in the Legislature again next year — reduced the number of would-be teachers who would qualify for loan forgiveness to 1,000. But even support for this relatively small number of teachers has so far failed to win support from lawmakers. We need some laws protecting our educators, teachers, coaches. They are the most vulnerable set of workers subject to false accusations, and there is nothing in the laws of California to help them. Some parents decide they are upset for some minor thing and make a complaint because kids have to be so catered to these days and the poor teachers are ruined, stressed, financially impacted and their careers ruined for a false accusation. School districts are so afraid of consequences and good teachers are being forced to quit or be fired. Some new laws need to be in place, or we will not have any teachers, coaches etc. stepping up to be subjected to this ridicule. 82% of teachers would not recommend their profession to young people. I’d overlooked this poll included following a March 23, 2015 post in “Education Week.” Only less than 18% of teachers would recommend teaching as a profession to young people today. Suppose we were talking about about a make/model of automobile instead of a career choice? Suppose over 82% of those actually driving a particular make/model of car opined that they would not recommend it to a friend? What would be an appropriate response by those entrusted with promoting that make/model of car? Start a program of loan incentives and promotional rebates to boost sales? Embark on a massive advertising campaign promoting the car, presumably to the least sentient of prospects? Find a way to hide the dissatisfaction of the existing owners from the new prospects? A question: If teachers wouldn’t recommend teaching as a career to a young person, what does this say about what even younger people, students, are encountering in the same milieu? Contrary to charter propaganda “we burn out our teachers because it is good for your students”, any milieu that produces such overwhelming teacher negativity cannot be good for students. Where are the teachers’ unions in all this? The union party line has to be something like, “teaching is a happy and rewarding worker’s paradise, because workers are, after all, unionized.” Apparently the rank and file, when polled confidentially, disagree. In any event, despite their power, the unions have apparently failed to secure working environments that their own members can recommend to young people. Where is the CTC in all this? Not many buyers would be interested in a new car if they knew they had to keep bringing it back to the shop for mandatory upgrades and writing out large checks for the next five years. It seems like the solutions proposed to the teacher shortage include everything but the most obvious – making the ultimate profession one that its own practitioners can overwhelmingly recommend to young people. How about we parent trigger the lousy schools, and actually save money while providing a better education? Make parent trigger automatic. Better, cheaper, faster. Parent trigger is a terrible mechanism, because it removes control of the schools from the parents and the community. One can imagine A mechanism that would make it easy to change a school over to its own elected board or something along those lines, that gives parents ongoing input into the school, but that’s not the law that was passed. Parent Trigger removes schools from union control. I think the mechanism you describe would be called “Union Trigger” – to remove schools from parent control. Just wondering, are you somehow employed by the charter industry or in a troll boiler room where you plug conservative spin on internet topics? I think the number one thing the legislature can do to attract and maintain a stable set of teachers is to make it a priority to have stable, predictable funding for school districts. After what happened post 2008, with teachers who invested time and money for a credential getting laid off and having job insecurity literally by the thousands, it shouldn’t be a surprise that people are electing to invest in careers where there is demand for their labor. The boom-and-bust is destructive. Right now, there appears to be a game of musical chairs going through the state where highly desirable positions are coming open and drawing employed teachers away from their current positions. This will probably settle out this year as funding stabilizes again, but it’s contributing to the sense that districts have that their teachers are leaving and their applicant pool is smaller than they are used to. “So what’s a recruiter/school leader to do? The short but not so simple answer is focus on retention. The only long-term solution to your school’s human talent needs must be grounded in a strategic effort to retain the members of your team that are thriving and successful. Every aspect of your human capital effort should be measured against its impact on long-term retention of effective staff-members and preventing bad hires in the first place. Quite a different outlook than “Parent” puts forward. BTW: I certainly enjoy the “business speak.” Kind of shows you how the industrial complex really does look at kids as widgets, or should I say “human capital.” Parents should love that. The Charters I know pass out cash bonuses to teachers that perform above and beyond, as measured by student academic achievement. That is common business practice in the “industrial complex” you mention. I should point out the obvious which is that government is wholly supported by the taxes generated by business and people employed there. I’ve never understood why socialists don’t get that and continually berate business. Oh wait, liberal politicians do that to get votes and campaign contributions! Duh! Gary, as a member (former) of the union industrial complex, if you enjoy the business characterization of staff as “human capital”, a commonly used term which I have trouble finding as offensive unless one finds “capital” as offensive, you would love to hear what the main author and pointman of Common Core, David Coleman, had to say on videotape in New York. In reference to what students should and should not learn from Common Core and how they have been taught to write about irrelevancies, he said ” they [the society at large] don’t care what kids think or what they feel.” This is how the developers of Common Core view the views and impressions of children, no less. Stick that in your hat. Bottom line in this discussion; competition is good in any industry because it forces groups to improve outcomes for what service, widget, or student achievement it is seeking. TPSs have enjoyed a long run with little or no competition which has led of course led to diminishing academic achievement. With Charters increasing at 10% per year (in California) I look forward to improvements in student achievement. Look out “union-istas”! Great tag Parent. There will be bumps in road because there always are. Great theory. The only problem with it is that the scientists at the National Research Council, the nation’s highest scientific body (these are the folks that come up with all of those bothersome facts with all the liberal bias) have concluded that competition based school policies have led to a flatlining of achievement across the nation and an actual decline in learning because of narrowing of the curriculum as competitive forces caused a focus on only those content ares that were being tested. Market competition is lousy way to run schools, as well as a very poor thing to include in national health care. You and “Parent” (a charter employee?) might look at research done nationally by CREDO, a conservative, very pro-charter group at the Hoover Institution, that found that only 20% of charters out perfumed their local regular public school, 40% were no different in performance, and the last 40% were worse performers. So, those parents, exercising “choice” (often meaning a segregated setting for their child) and sending their child to a charter, have a one in five chance of finding a school that performs better than their local regular public school. CREDO has done some followup work saying that the “average” performance of charters has risen slightly, not because the charters got better but because the worst had closed down. While I’m not familiar with the NRC study, I am familiar with the benefits of competition and schools are no different because people are people. I am familiar with CREDO and you appear to be using one of their earlier studies, or deliberately trying to mislead people! Susan Bonilla tried that on us at a PTA meeting as well. She is out of office now, thank goodness. My turn to educate you. Since you appear to accept the results of CREDO studies, from a USNEWS article reporting on the 2015 CREDO study published earlier this year which looked at the impact of charter schools in 41 urban areas including SF Bay Area, Boston, District of Columbia, Detroit and Newark, NJ, “students in charter schools learned significantly more than their peers attending traditional public schools…” There is more in the article is anyone wants to google it. What say you now Gary? It is not surprising you are unaware of the NRC finding, though I bring them up about once a day. But, you want to quote US News and World Report on another CREDO “study”? OK. But, you either just read the headline and not the body of the article. Which left you, and perhaps some others, with the wrong message. I trust yours was not an effort, as with the study of brain development recently posted on this site, to actually and flagrantly mislead people as to the actual conclusions and finding of the study by quoting certain sentences of the text and leaving other critically important sentences out. I give you the benefit of the doubt. Following are two quotes, the first is from the rest of the US News & WR article you “quote” re the latest CREDO “study” and the second is from a “peer review” of the CREDO study by an education professor out of UC Santa Barbara dealing with this latter CREDO “study.” Per review and/or publication in a learned journal, and/or presentation before a learned body (aka, professional organization) is important to distinguish between actual academic studies and propaganda op/eds posing as academic studies. BTW, the original CREDO study, being quite controversial, was widely peer reviewed and analyzed. Andrew Maul. Assistant Professor. Assistant Professor … Lecturer. “CREDO also fails to justify choices such as the estimation of growth and the use of “days of learning” as a metric. But regardless of concerns over methodology, Maul points out, “the actual effect sizes reported are very small, explaining well under a tenth of one percent of the variance in test scores.” The effect size reported, for example, may simply reflect the researchers’ exclusion of some lower-scoring students from their analysis. As to your assertions about “performance” or “merit” pay, even a casual look at recent events in education, another thing you have not looked at I assume, indicates such efforts are total failures and within the last year or two major efforts have been dropped. Performance pay is not even widely used in the private sector. But, that’s a topic for another day. The meta-analysis for pay for performance or merit pay systems (bonuses) for education is almost universally negative. They have been completing studies on this for well over 80 years. There are only a very small set of studies that demonstrate improved student outcomes. The ones that do work are the negative bonus options (where teachers have to pay back bonuses if they do not meet their goals, or the studies are filled with gross methodology problems, like the highly publicized one they did in DC a few years ago). Neither option is viable for states if you look closely at how they work and in many of these cases, such as the one in DC or North Carolina, they are no longer working with merit pay systems (lack of funds and reality hit them). Because of this, most merit pay systems have been a huge waste of educational dollars, and there are probably better ways to spend taxpayer dollars instead of going down a well-worn path that ultimately leads to waste. I would be interested in knowing what charter schools offer merit pay systems. I know Green Dot attempted the $2,000 bonus system in 2012, but was/is it effective? If charters had trouble attracting teachers then turnover would be even more of a problem – and it would be charters scrambling, not the legacy district schools. If charter teachers just stayed at a charter until they could get a job with a district school, then districts would not have a problem attracting teachers – another lie exposed. In a healthy economy the average person stays in a job for about 3.5 years, right now the average is 4.6 years because the economy is in trouble. Charter teachers are true professionals. They will switch for whatever they feel is a better opportunity, like the students they also have a choice. The charter administrators may complain about interviewing and hiring but too bad, they have to negotiate to make every teacher happy – not just the union boss who keeps all the other teachers in line. It is the union job-for-life teachers that have created the stagnation and failure at district schools that newer teachers want no part of. To say charter teachers are true professionals makes me wonder what your definition of true professional is. Are teachers who just got out of teacher training true professionals not having taught even a single year? When you say newer teachers want no part of districts school it is hard to square that assertion with the fact that the great majority of new teachers are working at TSPs. As a moderate-minded charter proponent, I think it behooves us to stick to the facts. Hi Don, I meant to demonstrate the fallacies that teacher shortages affect charters and that turnover is a bad thing at charters. Sure turnover is bad at TPS job-for-life because you know a transferred teacher is a lemon, but it is beneficial for charter schools (and in all industry as well). I define a true professional as someone who does not have to be micromanaged on how they work, are comfortable with their work being judged, and are always willing to move on to better opportunities. Increasing statutorily the minimum teacher starting salary seem like an obvious way to draw more new candidates into the profession. It would also assure some fairness for new teachers relative to the senior union teachers who vote in pay scales that pay them twice as much as newer teachers who do the exact same work. A starting salary that is enough to pay student loans and live and eat, for all new teachers, seems like a better option that some gimmicky student loan program that pays some fraction of loans for those who have them. What would happen, for example, if the minimum starting salary for new full time credentialed teachers in California were legislatively set at, say, $50,000.00? At one point it was reported that the average teacher salary in California was $84,489.00. If such is the case, what is wrong with starting the bottom at something like $50,000.00. I suspect that such a proposal would actually be opposed by the teacher’s unions, which so far have catered primarily to the interests of long tenured teachers high up in seniority and pay, and relatively ignored the interests of newer teachers. Presently, some of the high salaries for the oldest teachers can only be supported if newer teachers are paid inadequately. 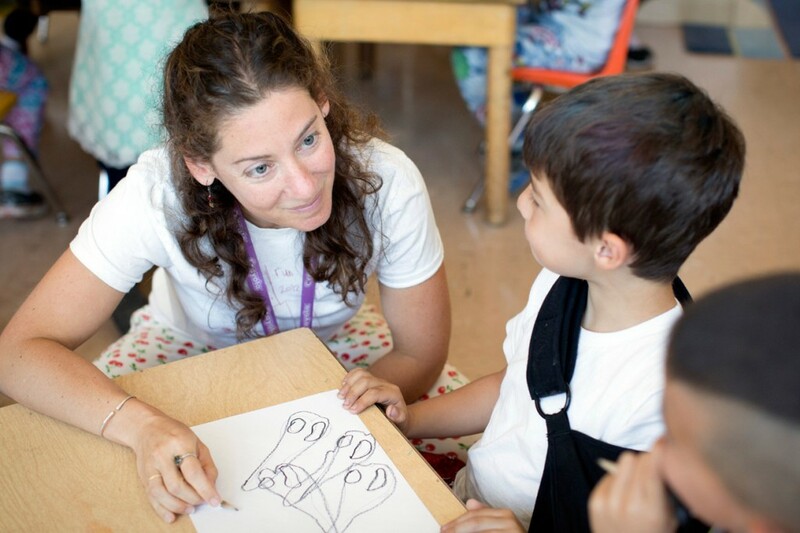 The cost of a Special Education teaching credential at any private university in California is $25,000 + for courses plus testing and evaluation fees. Affordable District Internship (“grow your own”) programs have been entirely eliminated. It takes a year and a half of full time attendance at CSU to complete prerequisites and credential program classes, at 4K per semester. There are zero online Preliminary Education Specialist programs available. The CSU has never retooled the Multiple Subject program that is available online – CAL State Teach – to include Education Specialist instruction for a slightly more affordable option. There are no loan forgiveness programs through California, and only a very few localized grant programs directed at undergraduates who want to enter Special Education instruction and generally ignore career changers. Is anyone surprised along with the layoffs from 2008 – 2013 that there is now a shortage of candidates to accept teaching positions? The financial elements are only a piece of the the big picture – working conditions are an entirely separate discussion. Ideally, a SPED teacher will be at least dual credentialed, e.g. a K-12 multiple subject credential AND a special ed credential. There is nothing that a general ed teacher needs to know that a SPED teacher does not also need. But qualified SPED teachers have additional specialized training well beyond that provided to general Ed teachers. Requirements encouraging dual qualification were watered down in CA when the shortage of SPED teachers became acute. The problem is that union set pay scales place very little or no value on such dual credentialing, or special added skills, but provide huge pay boosts for seniority. So who would want to acquire the desired skills for SPED at great expense and debt when the pay is no more than for a general ed teacher. It would be like paying an MD surgeon who had a five year surgical residency the same as a family practice doc who did only a three year residency. Who would want to be a surgeon under such circumstances? I never hear of teacher shortages at charter schools, maybe that’s because teachers are wanting to go to schools where children are actually TAUGHT. Charter turnover is very high (some schools are as high as 80% annually). Typically, the longest serving teacher at a charter has no more than three to four years (and that is for charters that have been around longer than a decade). While a few leave charters for all of the same reasons that TPS teachers leave their schools, many charter teachers leave to get jobs at TPS. Most people would leave charters, too, if they could do the same thing that they do for better job secruity and approximately the same pay. Who wouldn’t do it? I do not know where you get your data on this topic, parent, but it certainly does not match up with what I have seen first hand at two separate charters where I was the principal and all of the research out there on retaining teachers at charters. And from what I am hearing now from those at other charters, they are having a devil of a time keeping good talent now. TheMorrigan – please provide reference to a study that supports your statement about such a high turn over rate because I doubt it is supportable. Your experience could be localized, as many things are. The good Charters support good teachers with performance-based pay, job security, and don’t have last-in-first-out union work rules which penalize the younger teachers with less seniority. Tom, that’s a widely known and discussed phenomenon — the fact that charter schools tend to have very high teacher turnover. In some parts of the charter sector, I understand that’s viewed as a good thing. Just Google “teacher attrition charter schools” for a long list of stuff to read. CarolineSF, is it clear what defines “high-turnover rate”? Could likely look high at Charters compared to public schools but we know that tenure and other worker protections must have an affect on turnover. Boy are there some teachers in our District (East Bay) that should be “turned over.” but are not for employment contract reasons and the cost and time involved. Charters are under such attack by the unions, and their proxies in favor of the status quo, that I’m cautious when there are statements that reflect negatively on their effectiveness. EdWeek wants money to use the webpage to any extent, and could not locate the piece you describe. Did note that the author is an editor to Education Week, is geared to teachers, so is it unbiased? The teacher turnover at charter schools is such a widely known phenomenon that it really can’t be explained by confounding factors. It’s a widely discussed problem IN the charter sector, not just by charter critics. Also, the notion that “getting rid of bad teachers” is the big problem with education isn’t valid in the big picture, since the reality is that high-poverty schools have a chronic problem KEEPING teachers, any teachers. Sure, we all know of problem teachers here and there, but I’m talking about the big picture. Education Week is funded by the same interests that fund charter schools and other “reform” efforts, as is EdSource, as are practically any forums with money behind them. “Teacher Stability and Turnover in Los Angeles: The Influence of Teacher and School Characteristics.” This was a study done in my backyard. Or look up “Teacher Turnover in Charter Schools” by Smith and Stuit. Or look up “Teacher Attrition in Charter Schools” by Miron and Applegate. The information is all over the web. If fact, you will be hard pressed to find studies that do NOT show high teacher turnover rates at charter schools. Please show me one since you claim to have secret knowledge about this topic and I would be rather interested in reading about them. And be aware that I am not an anti-charter advocate at all. Seniority really never pops up as an issue at charter schools and that is certainly not a valid reason for why teachers stay at charters. Charters have less job security than TPS (I have no idea where you got the idea that they had more, but that is simply not true at all). Some charters offer better pay or performance pay, but most are about on average with TPS (it was true at my schools and the CDE supports this as well so I have no idea where you are getting your information, Tom, but I would seriously look elsewhere for your facts; I can only assume that you are talking about an extreme minority of charter schools and ones that are not representative of the majority). Like Parent, I get the feeling that you are not familiar with most charter schools at all, Tom. Jay Mathews, who has written several books about KIPP and writes for the WAPO, has dozens of articles addressing the differences between charters and TPS. You should look at them. You can also read Paul Hill’s book, “Why School Choice Is Worth the Wait.” Both are pro-charter advocates. While I do not agree wholly with Mathews or Hill on all of their points, they do not attempt to simply ignore, make up stuff, or lie about charter turnover rates. And almost all charter organizations admit to the issue of high teacher attrition rates; they only differ on how that data should be interpreted–not that it isn’t happening. Both Jay Mathews and Paul Hill are avid boosters of charter schools — avid is hardly a strong enough word — so they’re certainly not bending over to disparage them. Tom has certain strong opinions and does not want them confused with just any kind of facts. As one side of the political aisle is absolutely convinced, facts have a liberal bias. Nice jab Gary, but I’m a scientist who searches for facts to make a living. Half the names on the list of staff at my son’s charter school have been replaced by new ones after 2 years. That seems to me fairly high. Don, do you know why this is the case at your school? Frankly, Tom, I don’t know. To get a sense of what’s going on you’d have to do some research and get confidential or at least personal information that people may or may not be willing to provide. I know a couple left to be closer to home, but there are 8 or so more I don’t know about. TheMorrigan provided some studies and there are plenty more, a consensus, that point to the same main causes, higher pay and more job security. So I can reasonably imagine those factors contribute to my son’s school. But it isn’t unusual to see similar turnover rates at TPSs in the same area, maybe even higher rates of attrition. Also, we should not consider that these kinds of employment changes are explained away so easily when teacher employment decisions are not only about the highest paying job. And private sector job turnover has increased dramatically in recent years. That said, overall wages drive employment and charters, on average, pay less with the lower class sizes. There’s no doubt that charters have higher attrition overall, but not necessarily on a similar school index. You should ask. That level of turnover justifies an explanation. If it’s an swd environment, that may be a factor (in either system). Morrigan, Can we not have a polite and respectful discussion? Feisty today you are. I am quite willing to admit I have not studied turn-over rates at Charter Schools, but was questioning the claim. Sounds like this is plenty of evidence that turnover rates are higher – thanks for elaborating. It could indeed be a local issue and I’ll check with people I know at a couple of Charters in the San Jose area, and get back to you if I get some good information. Of course these issues vary widely from place to place. Now I am wondering why such a high turnover since to me they have more effective employment policies that reward performance – works in the private sector. Unlike public schools though, am confident that Charters will work to figure it out and improve that if it means the kids will be better off. Without self examination and successes, will not continue to get parental support. I think the studies you mention bear out the willingness to examine themselves, warts an all. Again something that the teachers union is less than willing to do. I think you misunderstood what I wrote, which is that Charters have LESS job security than TPS’s. That is fine with me because will raise the bar in the long run which helps the kids! Kids first, adults second. This is a national situation, not local. Jay Mathews has been in D.C. (as education columnist at the Washington Post and Newsweek) and I think Paul Hill is in Seattle; they’re not writing about the Bay Area. As I say, some charter-sector voices spin the high teacher turnover as a positive thing. Almost all teachers I know at charter schools are there after being unsuccessful at getting jobs in TPS’s, and I know a number who got their first jobs at charters and moved to TPS’s as soon as they could — though the current widely discussed teacher shortage may be changing that. I have a teacher friend who’s just moving as we speak from teaching for years at a charter to a job at a TPS, and he says the charter’s management is chaotic and unstable and always has been, so it’s a difficult place to teach. (His own kids attended the TPS he’s moving to, so he’s able to get a good view for comparison.) The charter he’s leaving feeds heavily into the charter Don’s kid attends (or kids attend), so whether that means the management style is similar, I don’t know. I’m not going to say Caroline is wrong about the turnover assumptions or that the anecdotes she provided are unrepresentative. I know what the literature says. My experience at a charter is subjective and I’m not going to take a collective pulse and make a social diagnosis based upon what my friends say or acquaintances have to say. I would take theirviews seriously and get all the info I could, just like deciding on a new school. At my son’s charter he’s had excellent teachers overall that were at least as good if not sometimes better than the previous high performing TPS he attended and the best ones have had more experience. My other son attends a magnet TPS and our experience has been very good with teacher quality there as well. Outstanding teachers are typically the ones who, among other important qualities, have a least a few years of experience and know the ropes. I would advise another parent to stay away from schools that have large percentages of staff with less than 5 years experience. Just because they have 5 or more doesn’t mean they are good though. Far from it. I’m not sure how Caroline can say that a certain school feeds heavily into another when all the students in the incoming class have been chosen by lottery. It is possible that people in the neighborhood apply to a neighborhood charter in greater numbers and therefore have a greater chance of higher representation.I’m not saying it isn’t true what she says, I just don’t know and I don’t know how she would know without crunching the assignment data. I never done an informal survey, but it seems like my son’t classmates come from all over. A chaotic management style is not what I have seen at the charter and if it has higher than average turnover it may be due to other factors. For the record, I’m not gung-ho-all-charter-are-better in my thinking. And I didn’t choose a charter for my son because it was a charter. I picked it because it offered something the TPS’s couldn’t – smaller class sizes and a program that made sense for his learning style. I winged it at the time as I had no idea of the teacher quality and I have not been let down so perhaps we’ve been lucky if that isn’t the general case. But it’s my sense as concerns the independent charters, not necessarily the big corporate ones, that they are all quite different and cannot be judged as, for example, a racist person might judge an individual of any given race. As a parent who very successfully homeschooled independently K-12, I support the concept of charter schools, some of which have independent study options for homeschooling. That said, objectively, the overall outcomes from most charter schools have been disappointing so far and have not lived up to their original promises on the whole. Though some charters have demonstrably high achievement, most achieve only mediocre averages in standardized testing, and this is particularly disturbing when you considered the motivated and self-selecting nature of students who typically choose charters. They should be doing much better. Charter schools have been historically notorious for teacher “churn and burn” and I suspect this contributes to their mediocre academic averages. This has been mitigated to some extent in the last few years during the recession when so many teachers were laid off and would take any job anywhere, including charter teaching. Now that teachers are in short supply, charter schools will find it much more difficult to secure and keep good teachers. Teachers, including charter teachers, often selflessly conceal their dissatisfaction from pupils and their parents. And the charter school industry has a large and efficient propaganda machine that portrays charters as academic powerhouses and their teachers as highly motivated, well treated, and capable. The propaganda far exceeds the reality. When confronted with the reality, the industry spews forth rationalizations rather than seriously resolving the shortcomings. So it can be hard for even a charter parent to get the straight story, including what is really going on with the teachers and how they really feel.